Kate Turner | DRTV Talent. Direct response television talent. Female and male talent for your direct response tv campaigns. Kate Turner is the television presenter you need to promote your product! While Kate’s striking looks and winning smile make audiences sit up and take notice, it’s her classic style, warmth and sincerity that ensures your message reaches your audience with credibility and integrity. 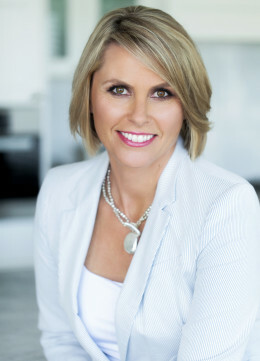 Kate began her career in public speaking and commercial modelling when she was in her teens and has enjoyed a successful and interesting career representing many companies in various forms of media – TVC’s, print media and fashion parades, often in national or even international campaigns. Her recent work with American TV and radio star Leeza Gibbons displays Kate’s versatility as an interviewer. Her calm professionalism never sways, no matter how big the client or star. 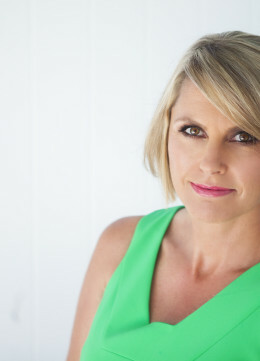 Kate’s engaging presence has also led to international work, such as her appearances on TVNZ’s “Good Morning NZ”, representing Sheer Cover, Proactive, Winsor Pilates, to name a few. Kate’s also hosted many Infobreak segments, again representing a variety of companies, including LG and Amex. Kate’s also been seen in speaking roles on television commercials, such as with Cold Power. Kate has travelled extensively, for both work and pleasure, enjoys studying and speaking French, loves to fit in some snowboarding , all the while savouring day to day projects like cooking, DIY renovations and organising two small children! Kate’s wealth of experience makes her a well spoken, travelled, all round professional woman, easily able to adapt to any mood or character required to suit your project. Kate is equally comfortable working with autocue, free script, ad-libbing or memorising pages of scripts with the utmost accuracy. Kate is a valuable representative of your company and product, presented in a professional, experienced and easy to work with package.